Does your desk have a life of its own? Does it seem to become more and more cluttered every day by a never-ending flow of papers, stationery items, and food wrappers? 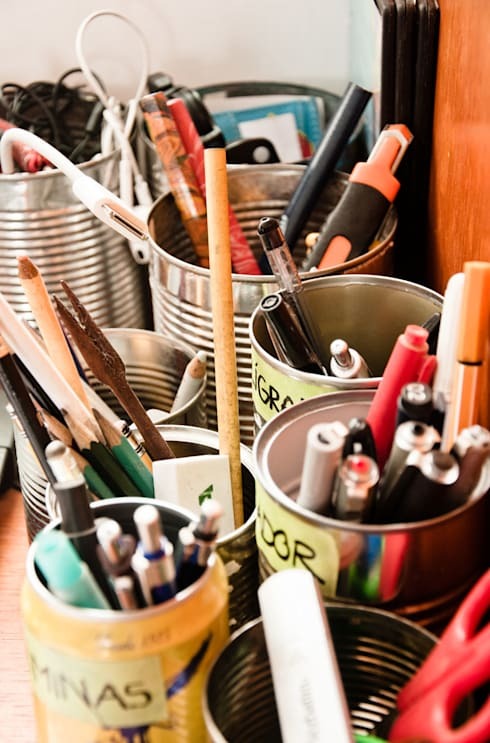 Take action before that messy surface impedes your ability to get your work done. Cleanliness equals productivity, which is why we’re so fond of neat and organised spaces, from office desks to garden patios. Besides, when inspiration or motivation strikes, you don’t want to be searching for your pen or trying to uncover your keyboard from a pile of paperwork, do you? And regardless of whether or not you are office-bound or work from home, a clean and neat work space says a lot about a person’s work style. Desktop accessories: yes or no? A desktop calendar. A framed photo of your dog. Your pencil-sharpener that’s shaped like a tiny globe. These are all items that a lot of us prefer to keep within close reach while hacking away at those daily deadlines; however, are they keeping you from being the true creative and productive person that you can be? There is nothing wrong with loving attractive desktop accessories, so feel free to use them – but make sure they are out of the “hot zone” (the live, working area where all the action happens, i.e. typing and writing). If your desk is a bit pressed in terms of surface space, consider hanging Fluffy’s photo against the wall and moving those paperclips to your drawer. Vertical trays are terrific for organising different documents and files, as long as you have a good system. We know that you have an email inbox, but what about a physical one? Not many people bother anymore with having a physical inbox on (or near) their desk for all those incoming papers. Don’t be one of them! A tray is a fantastic place to store that printout you’re going to need later, or that wedding invitation from a colleague. Notice the fantastic filing system set up by Jan Jacobs above. Without one, your pieces of paper will simply scatter over the existing documents on your desk. homify hint: Do your share to minimise that incoming paper. Stop unnecessary subscriptions, reduce the number of paper reports and memos, and think twice if you really need to print out that document that you have already saved in digital format on your computer (think of the trees!). If you don’t need something in hard copy, then stop it from coming to your desk. No, we are not referring to your Pinterest boards – fortunately, those don’t take up any desk space. 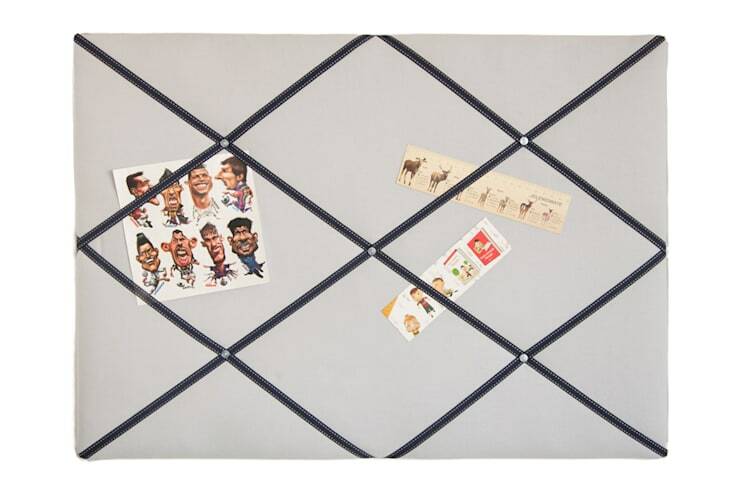 A pin board (or bulletin board) is a heaven-sent alternative to clearing up desk space. 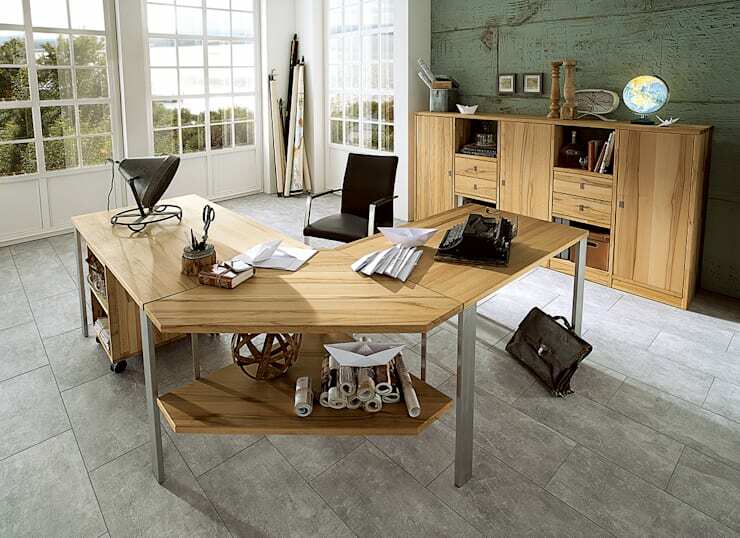 Available in surfaces of cork or smooth fabric, these can also spice up your office décor most superbly. Why have your bright ideas and reminders stacked on top of each other, in-between your keyboard and coffee mug, when you can have them right in front of / beside you? Just be sure to keep an eye on it, or it will also take on a life of its own and start accumulating a whole wealth of cluttered information. Magnet boards, or magnetic bulletin boards, are a popular substitute for cork boards as they lack the problem of board deterioration from the insertion and removal of pins over time. If you have to get up to use it, then it’s too far away. We are referring to the trashcan. Apart from luring some office workers into a game of trashcan paper toss, a trashcan that’s placed too far away will make the more lazy among us just give up and leave that crumpled paper on the desk, leading to, you guessed it, more clutter! Make sure that you can easily and quickly reach the trashcan from your chair. homify hint: Whether it is a piece of paper or a food wrapper, never set trash down. Get in the habit of holding it in your hand until it meets its new home (the trashcan). You don’t want to put trash on your desk and forget about it. After all, that half-empty soda can is an accident waiting to happen. Consider an under-desk storage system to free up even more valuable desk surface. This could be anything from a set of drawers to a neat little tray, box, or plastic crate where you can file away those documents in a neat order. Resources, files and other items you use on a daily basis should be within arm’s reach. If you keep a telephone book on your desk, but use an online directory, then the phone book needs to go. Store items that are not used regularly in less accessible areas. Likewise, items that are not used frequently do not need to be in an easy-to-reach area, so they can go in that storage cupboard at the other end of the office. By separating the two, you minimise confusion and clutter, and make room for those things that you do use often. We’ll help you to Perk up your home office. 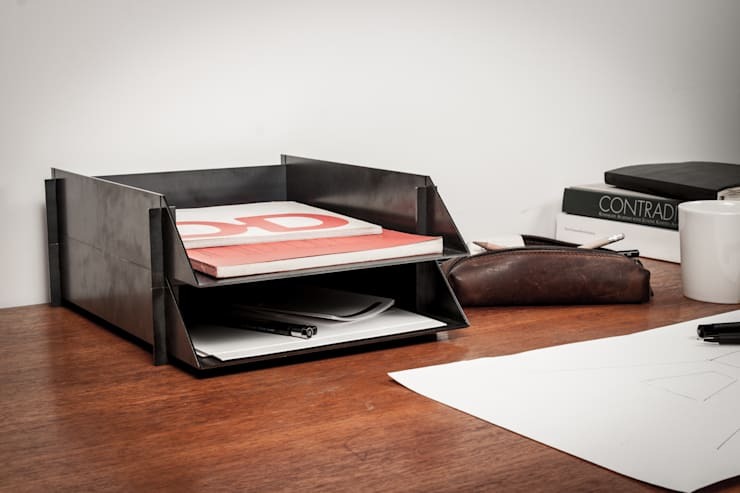 To keep those essentials handy yet organised, get a desk caddy that’s perfect for your pens and highlighters. Mason jars can also be used to store your stationery items, or simply opt to place them in the desk drawer (if your desk has one). But then make sure that your drawer remains a space that is neat and sensible. Put items used together in the same drawer space, such as sticky pads with notepads, etc. And use drawer organizers for little items – paper clips, tacks, etc. Place your personal items in a separate drawer. Frequently used items belong in the top drawer on the side of your dominant hand. Move might need items to lower drawers. •	Delete files you no longer need (like that job you applied for two years ago). •	Organise remaining files into desktop folders by date or subject (for easy access). •	File sub-folders into larger folders, like breaking down 2016 into months. •	Back up files to keep them safe and secure. Yes, we know that we are trying to clear up space, but a bit of nature at your desk will help with your happiness levels. Adding something that has a beautiful colour and a pleasant scent can help to keep you inspired. Besides, that little potted plant can take up the space that you were planning on using for clutter. homify hint: If your boss were to come to your desk after you have gone home, would you be proud of what he or she would see? One of the best times to clean your desk is the end of the day. It brings closure to your work day and sets you up for a clean start tomorrow. Did our tips help you to clear up some desk space? Do you have more tricks that we didn’t include? Please tell us!